Twenty finance students in Dixie State University's Udvar-Hazy School of Business are taking their investment in education to a whole new level. The students are using what they have learned in the classroom and are investing real money - with real results and profits.Under the direction of Hal Anderson, President of Soltis Investment Advisors and instructor of the newly minted Portfolio Practicum course, DSU students have created a Student Managed Investment Fund (SMIF). The SMIF provides an opportunity for selected students concentrating on finance to gain valuable experience managing an actual portfolio. SMIF is made possible by funds provided by the DSU Endowment and private individuals totaling over $100,000. The student teams interview each investor in an effort to develop a risk profile, and from that information, the students build a portfolio around the client's investment goals. Student teams are then each given $25,000, and are assigned to a trading account. All investment decisions are made and executed by student team members. 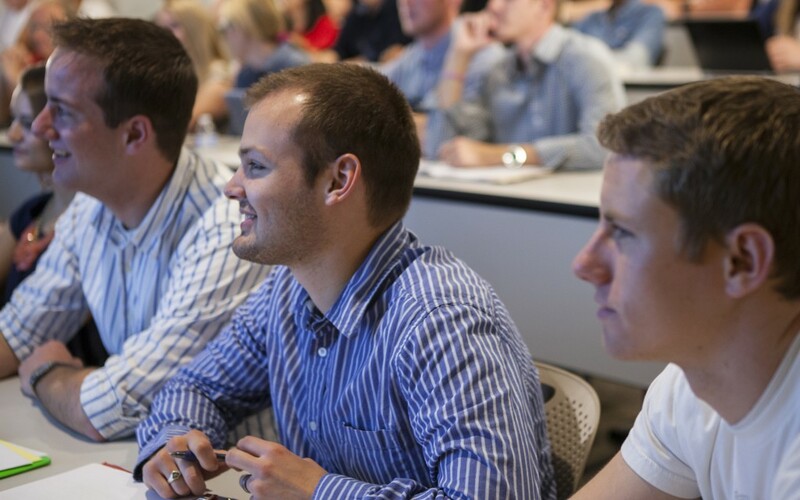 Dixie State's SMIF program follows a growing trend at more than 300 other colleges and universities nationwide, which gives students the power to make investment decisions that have real consequences. The students accepted to manage the fund are entirely responsible for the investment decisions of the SMIF. The analysts establish the stock selection criteria, research the prospective stocks, generate reports, make the decision whether or not to invest in the stocks, and execute the trades. “It really increases the pressure when you know you are making decisions that affect another person's savings,” said Cedric Johnson, a senior finance student from Thatcher, Ariz.
DSU Business Department Chair Dr. Kyle Wells saw first hand how successful a similar program like Dixie's was at the University of New Mexico. He noted that DSU finance faculty members serve in an advisory capacity by answering questions and making presentations to educate the students on various aspects of investments, though faculty advisors will not determine the outcome.